This research on the working conditions for teachers working part-time in secondary schools in France (often women) aims to reveal certain discriminatory practices by the education authorities, which often go unnoticed. 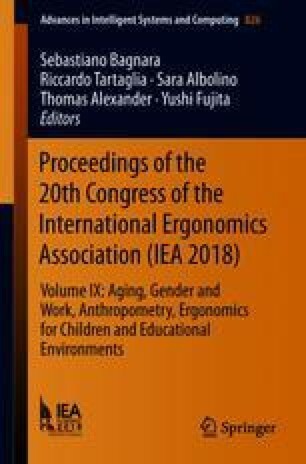 This study adopts an original approach by combining an ergonomic approach to work and the psychological model of the system of activities. This combination of methods – interviews (20) - timetable analysis (210) – questionnaires on teachers’ experiences at work (106) produces a systemic approach to the activity, situated in organisational and institutional contexts, and a diachronic perspective on health and professional activity. Our findings show that the forms of commitment to work change according to changes in teachers’ health and their private lives. Paradoxically, instead of improving, the working conditions of part-time teachers often deteriorate, and their reputation within the institution is damaged. They are subject to pressure and, more or less hidden, discrimination from their line management, as well as their colleagues. These initial findings call for further investigation of the need to gender the diachronic approach to health and the work activity. Better understanding the conflicts between different spheres of life and how they impact health and careers will reveal how the decisions made regarding the temporal organisation of the activity influence the careers of both women and men. In particular, it will draw out the mechanisms behind the early-onset fatigue experienced by women, who are most affected by the need to find an improved work-life balance.